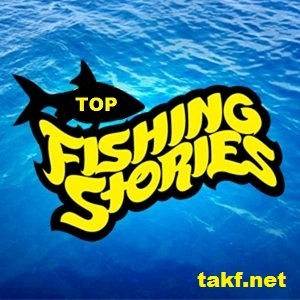 Top fishing stories of kids and military members who have been helped out by our fishing program. Periodically we update our stories of youth fisherman who we have helped along the way with our fishing programs. These kids stories are truly amazing. Seeing them battle their difficulties in life and watching that smile come back on their face, has been a truly amazing experience. Please, take some time to read a couple of our top stories and help us out if you can. Help us take a kid fishing, the kids fishing foundation relies on sponsors and donations to achieve our goals. Help us change a kids life for a day by donating to the kids fishing foundation. All proceeds go to help the kids. Go Fishin with us, Kids & Parents, if you would like to be considered for one of our fishing events or would like more information on upcoming fishing events. Just follow this link and you will find out how to get the info needed. Programs, to learn more about the fishing programs we offer, visit our fishing information page. Volunteer, would you like to help out the kids fishing foundation by volunteering your time or equipment. Please look through our event list and e-mail us with an event number and we will give you all the details. Used Fishing Equipment. Want to donate your used fishing equipment, please send us an e-mail with a list of things you would like to donate and we will let you know the details. I've been a fishing guide on Lake Sydney Lanier in Georgia for more than 35 years. I've had the privilege of giving people the ability to share quality time together, time and time again. It's been an honor for me to serve people in this capacity and the memories I hold I will carry for the rest of my life. I've always been raised to believe each and every one of us are here for a purpose in Gods Plan. It always comes to us when we least expect it. And it never ceases to amaze me when His hand guides the course of events that proves it. Through the fishing events I have experienced there are many that remain as unique in my mind, and there is one particular guide tour I shall always remember as one for the ages. There was a Charity Guides Event I took part in many years ago which hosted Special Needs Children. There were about 75 families in all, and the local fishing guides as well as experienced fisherman volunteered to take part in this event. My group was a family of two boys and their father. I didn't notice anything unusual about the boys, they both seemed energetic and happy to be there. The youngest of the two was the Special Needs Child. He had a heart condition since birth, but you would have never known it from the beautiful smile on this boys face! So on that day we took off on our fishing adventure with all the best of hopes we could carry. It wasn't too long before we made our first stop to try our luck. We used a Live Bait approach to catch the fish we were after and usually after catching one or two in one particular area we would have to move to locate more fish to catch. But this was not the case today, for some unknown reason the school of fish we had come upon refused to leave, and although they shifted slightly from time to time, they did not leave that area for the entire day! I thought this was highly unusual but this was a special trip for special children and I wasn't about to question Gods plan. So we stayed right there for the duration of the Trip. We caught Spotted Bass of all sizes! We caught Striped Bass of all sizes! It was one of those days where the fishing never quit! However there was one fish we caught I'll never forget. He turned out to be the Biggest Fish of the day, but that wasn't the biggest surprise. With a great deal of anticipation the youngest boy took the rod into his hands to fight the Biggest Fish of his life. This monster of a fish fought hard and long and he would have worn most people out, but this boy knew this fish was Big and he wasn't about let it get away. After about ten long minutes of fight, all of a sudden the line went slack.... the fish got off the hook. It was a deflating moment and it wasn't hard to see the disappointed look on the young boys face. Eventually I asked the boy to go ahead and start reeling in the line. No sooner did he start reeling did that fish attack the bait still on the hook and he was on again! So the boy held tight to that pole and fought him with renewed anticipation. After quite some time he got that fish close enough to where we could see it in the water and we were all amazed at how big he was! The fish lunged away from the boat and all of a sudden the line went slack again. The feeling of loss was almost overwhelming, everyones heart sank..... the boy sat down and looked so lost from his failed effort...... I asked him to go ahead and reel the rest of the line in. All of a sudden that very same fish grabbed the bait that was still on the hook for a third time! This time the boy got a very determined look on his face and decided this fish was not getting away any more! "THIS FISH IS MINE!" He said, and fought him until it was landed! I don't know how it happened that fish got off the hook two times and got on the hook for three consecutive times during the same fight, but it had to be destiny, there's just no other explanation except Gods Plan. This Striped Bass was indeed the Biggest Fish of the day weighing a little over 26 pounds! The look on the young boys face showed just how proud he was, he had a Dream come true to remember forever. And It took a big effort from both of us just to hold it up for a picture! As the day turned out, our boat caught the First Fish, the Most Fish, and the Biggest Fish of the tournament! It was indeed a very special day, all things considered. A few years later I was coming out of Publix after getting some groceries and this older man comes walking up to me just as I was getting into my truck. He said," Hey...You're Captain Quin! My sons and I went fishing with you a few years ago and I remember that day because that's when my youngest boy caught the Biggest fish of his entire life! He was so proud of that fish, do you remember my boy?" I was embarrassed to admit I couldn't remember that moment specifically. So he reached into his wallet and pulled out a nice picture of his youngest son and I holding up the Biggest Fish of his entire life, and the proud young boy had the biggest smile on his face I had ever seen. I handed back the picture having recognized the boy and asked him how the boy was doing.The father had a special look on his face when he said," Well, he died last year from congenital heart failure, but I have to tell you something. Catching that big fish was the highlight of his life, and he never stopped talking about it until the day he died." He then took out another picture from his wallet and this time it was a picture of the boys tombstone, and there on the face of the stone above the boys name was that picture of the boy with most beautiful smile, proudly holding up his Biggest Fish, and it was embossed in bronze to last forever. The father looked at me and said "Thanks for giving us that happy memory." We shook hands and he slowly walked away tightly gripping that picture in his hand. We never know when we will touch the lives of people, how that moment will impact them and the way they see the world. But when we do, we can know we are here for a purpose that serves Gods Plan, however small it may seem. When I drove away from there just a little ways ..... I pulled over and wept.